This public transit guide is being written as a public service for fans wishing to see San Jose Earthquakes soccer at the new Avaya Stadium. The new stadium is located at 1123 Coleman Avenue in San Jose, across the street from the airplane hangars of Mineta San Jose International Airport. Avaya Stadium is currently served by the Santa Clara Valley Transportation Authority (VTA) 10 FREE Airport Flyer bus linking Mineta San Jose International Airport to Santa Clara’s Caltrain Station and Transit Center, and the Metro/Airport light rail station in San Jose. The stadium is about a 20-30 minute walk or 5-10 minute bicycle ride from Santa Clara Caltrain station. Plan on arriving to Avaya Stadium at least one (1) hour before the scheduled kickoff or event start time, in order to beat the traffic. Note that this transit guide is NOT endorsed officially by the San Jose Earthquakes, Caltrain, VTA nor any agency in any way. As with all of our transit guides, it is written as a public service. 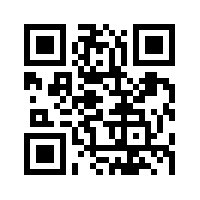 In addition, we are not responsible for anything that occurs on VTA buses or trains, or on any public or private property as a result of use of this guide. Take Caltrain from San Francisco and all points along the Peninsula to the Santa Clara train station. Details on where the bus stops are at the Santa Clara Transit Center are in the map below. Click on the bus stop icons in the map above to get bus lines, destinations, and arrival times. After getting off Caltrain, walk to the right of the brown train shed (going to the rear of the train) onto Railroad Avenue for about 50 yards until you see a bus shelter. DO NOT CROSS RAILROAD AVENUE! 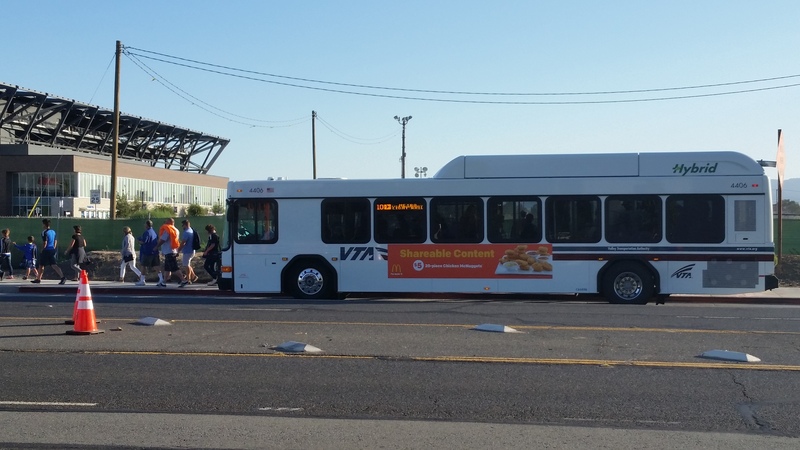 At that bus shelter (near the corner of Railroad Avenue and Benton Street, take VTA FREE 10 Airport Flyer bus to Avaya Stadium. The 10 Airport Flyer bus stop for Avaya Stadium is the last stop before the Airport terminals. 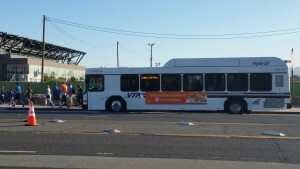 Take the VTA’s 60 bus line (going to Great America) and get off at the Santa Clara Transit Center. From where the 60 bus drops you off at, walk across the street to the Santa Clara train station area. Follow the instructions above to find the bus stop for and transfer to the VTA FREE 10 Airport Flyer bus to Avaya Stadium. From South San Jose and points south, take any Alum Rock-bound VTA light rail train to the Santa Clara street light rail station in Downtown San Jose. From there, walk across Santa Clara Street to the bus stop at the northeast corner of N. 1st and Santa Clara Streets and transfer to a Palo Alto-bound 22 or 522 Rapid bus to Santa Clara Caltrain station/transit center From the Caltrain station, either walk/bicycle to Avaya Stadium via the station pedestrian tunnel or take VTA’s 10 Airport Shuttle bus to Avaya Stadium. VTA’s 10 Airport Shuttle bus serves Avaya Stadium. Take any Palo Alto-bound 22 bus line (or 522 Rapid) to Santa Clara Caltrain station/transit center From the Caltrain station, either walk/bicycle to Avaya Stadium via the station pedestrian tunnel or take VTA’s 10 Airport Shuttle bus to Avaya Stadium. Take any Santa Teresa-bound or Winchester-bound VTA light rail to the Metro/Airport light rail station. Then, transfer to the 10 Airport Shuttle and take it to the very first stop after the Airport, which is where Avaya Stadium is. From the Great Mall or the Fremont BART station, take any San Jose-bound 181 express bus to Santa Clara and S. Second Street in downtown San Jose. From there, cross Santa Clara Street then walk one block west along Santa Clara Street to First Street. Alternately, you can take any San Jose-bound Capitol Corridor Train and get off at Santa Clara station. From there, use the pedestrian tunnel at the northern end of the station. From the Caltrain station, either walk/bicycle to Avaya Stadium via the station pedestrian tunnel or take VTA’s 10 Airport Shuttle bus to Avaya Stadium. VTA’s 10 Airport Flyer Shuttle also serves the San Jose Earthquakes’ Training Facility at 1125 Coleman Avenue in San Jose. The Airport Flyer Shuttle starts at Santa Clara Transit Center (across the street from Buck Shaw Stadium) and serves Mineta San Jose International Airport, ending at the Metro/Airport light rail station. Around the Fourth of July holiday, the San Jose Earthquakes host the L.A. Galaxy in soccer action at Stanford Stadium. This game is part of the “California Clasico” rivalry between the two soccer teams. The halftime show features a salute to our Armed Forces. After the game ends, there is a fireworks show that usually starts around 10pm. To support the special game, Caltrain has select trains stopping at the Stanford Stadium stop, a 5-10 minute walk from Stanford Stadium. Stanford Stadium is four blocks south of the Palo Alto Transit Center, and about 1/3 mile west of Caltrain’s “special event” Stanford Stadium stop. Several Caltrain runs will stop at the Stanford Stadium stop before and after the game. Read the Caltrain events page for more information before and after the game. At the Stanford Stadium stop, there is no Clipper Card reader nor ticket vending machine at either platform. If you don’t have a monthly Clipper Card set up for Caltrain, it is strongly advised to buy a Caltrain “day pass” where you board Caltrain for travel to and from the Stanford Stadium stop. Also note that Stanford Stadium stop has no manual wheelchair lift as other stations do. Make sure to ask the conductor for use of the on-board wheelchair lift when boarding or alighting Caltrain. You can also get to Stanford Stadium by bus. VTA’s 22 bus line has two (2) stops near Stanford Stadium, at El Camino/Sam McDonald (south side of the stadium) and El Camino/Galvez (north side of the stadium). You can also take VTA’s 522 Rapid bus or SamTrans buses like the ECR bus line to the Palo Alto Transit Center/Caltrain Station, then walk about 1/2-mile south to Stanford Stadium. why did VTA reduce service to Avaya Stadium? VTA won’t have any more 231 bus service for Avaya Stadium events for the same reason there is no more special light rail train for Sharks home games – its “Special Events Policy.” Approved last June, the policy has VTA providing extra service, provided the Sharks and Earthquakes management reimburse VTA for the extra service costs beforehand. I’m working on a followup post and rider advisory on VTA’s “Special Events Policy” before the Earthquakes’ home opener Saturday evening. It will include information on who’s accountable at VTA for that policy. Any announced plans on how the new San Jose Earthquake stadium will accomodate public transportation? Any chance of a game day Cal Train stop at the stadium? Does the San Jose Airport bus that links to CalTrain Santa Clara Station and the VTA Light Rail Stop on 1st Avenue be able to stop at the stadium for fans? For those fans that live in the neighborhood any chance of getting bike lane access? The Guadalupe Creek trail is close by that getting a spur would be great.